Terri has been working for music and arts in 2016, when she began working as a retail sales associate before becoming our Educational Representative for the sandhills region of North Carolina. During this time, Terri developed relationships with directors throughout her territory and developed a passion for facilitating music education programs in the area by providing excellent service and high quality products. This passion has carried over to her role as the Fayetteville store manager, which she began in 2018. In addition to Terri's experience in music retail, she has performed with many regional ensembles, including the Carolina Philharmonic, Fayetteville Symphony, Raleigh Symphony Orchestra, UNCP Falculty brass quintet and the Triangle Youth Brass Band, in which she held the position of concertmaster and won the Youth Solo Division at the North American Brass Band Association Competition. 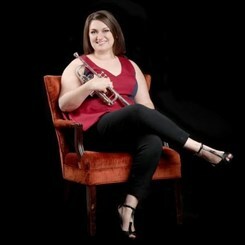 Terri also held the position of Principal trumpet for the North Carolina All-State Band for five years. Terri’s other awards include winning of the Music Teachers National Association (MTNA) Senior Brass Category, as well as the winner of the Harlan Duenow Concerto Competition, where she was a featured soloist with the Fayetteville Symphony Orchestra. Most recently, Terri was the 2016 winner of the UNCP Concerto Competition, 2016 finalist for the Rosen-Schaffel young artist award and a 2017 live performace finalist for the LSU ITG regional competition.